A leaking chimney can create all types of problems. Not only to just your roof but also the attic and indoor walls. To ensure that your chimney and home is protected, Eastbrook Construction builds a chimney flashing, a sheet metal installed for the purpose of protecting the watertight connection between chimney and roof, around your fireplace chimney. They cut an 8×8 inch sheet of aluminum, make 1/2 bends up and work underneath counter flashing and under every shingle. This is done in such a way that it will never need tar and will not leak. We fix it once and you never have to get it fixed again! 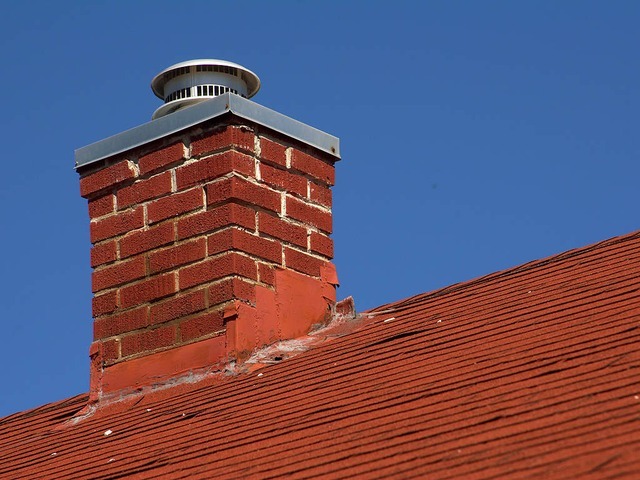 Fireplace chimney flashing must be replaced if there are areas that are missing or eroded. And in older houses, most metals used were not of the best quality. If the flashing is rusted or compromised, it could affect the safety of your roof vents, by harming the metal or creating a mold, and the woodwork of the walls. When your chimney flashing is expired, many areas need to be inspected. The attic can be invaded and perhaps even the ceilings. Devastating moisture is known to cause roof damage, dangerous attic conditions, and drywall damage to your ceilings. The best action to take is calling us to get a free estimate. Keep your family same from harmful components of failed chimney flashing. Now, before winter, is the best time to get your roof inspected, repaired or replaced. You want your roof nice and secure before the cold winter season. Heavy winter snow can affect the foundations, branches can be thrown into the roof when the wind blows, and the wrath following in the spring hails even greater issues to the already unstable roof. The best thing to do is to have one of our Eastbrook Construction contractors come out to inspect your roof and give you a free estimate. We will repair or replace any problems we find in the roof at an affordable price! This will allow you to feel safer during the Michigan winter and will alleviate any worries for at least another decade after we fix it. Call today to for a roof repair or replacement to get a free estimate! After inspecting, you may find out you need a new roof. A lot is based on how old the roof is of course. If the issue is shingle-related it might even be under warranty depending on the brand of shingle and the quality. But we understand how vicious Michigan weather can be against property. If you have an issue, we will fix it! You can fill out a form about your damage and we will either replace it or restore it depending on severity. With us here at Eastbrook Construction, you never have to worry about being abandoned after your roof suffers damage. We stand by our services and we provide support through our generous warranties. Check out our page for more information. Costs can vary from company to company, so getting an on-roof inspection and locking in a firm estimate is important. Thankfully, Eastbrook Construction provides free estimates and quotes on any concerns about your roof that you may have. Contact us today to set up a FREE no-hassle quote and consultation with one of our roofing experts. This entry was posted in New Roof, Roof Inspections and tagged chimney flashing, damaged roof repair, flashing repair, roof restoration. Bookmark the permalink. ← Fall Roof Inspections and Installation Specials!